Home / Health Concerns / JUST HOW DANGEROUS IS MANGANESE IN DRINKING WATER? JUST HOW DANGEROUS IS MANGANESE IN DRINKING WATER? Manganese is not a mineral that is naturally found in water. More than likely it came from a water source that had iron in it, but manganese is rarer than iron. In small amounts, it can produce stains on everything it comes into contact with. This may cause tap water to contain black sediment due to precipitated manganese. Whenever fabrics are washed in water that contains it, dark brown and black stains appear because of the oxidation process that takes place. 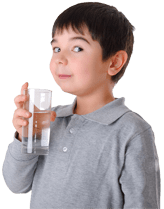 According to the U.S. EPA Secondary Drinking Water Regulations, a limit of .05 mg per liter of manganese should be in the water because of the staining it causes. For industrial purposes, it shouldn’t exceed .01-.02 mg per liter. This may even be considered excessive in some cases. If the levels are higher than .05, it becomes noticeable because of the color, smell, and taste. However until it is 10 times higher, there are not any health concerns. 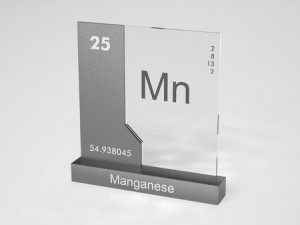 What sorts of health effects are caused by manganese? Manganese cannot be absorbed through the skin, so the main consumption would be through drinking water. Increased exposure can be associated to toxicity of the nervous system, which causes a person to develop a syndrome that looks similar to Parkinson’s. It is unlikely that it will produce other types of toxicity such as cancer. For whatever reason, seem to appear to absorb more manganese than older age groups but they also excrete less. Women who are pregnant should make sure to drink clean water. It is much harder to remove manganese from water than iron, because the dissolved version oxidizes slower. It is oftentimes is present as a manganous ion (Mn++) in water. They are similar to iron because salts of manganese are more soluble in acid than in alkaline water. Also, Manganese bacteria can cause problems similar to iron, such as bacteria-clogging, and staining. It is important that no matter what your age, you are drinking clean water. This is the easiest way to make sure that you are not consuming too much manganese.